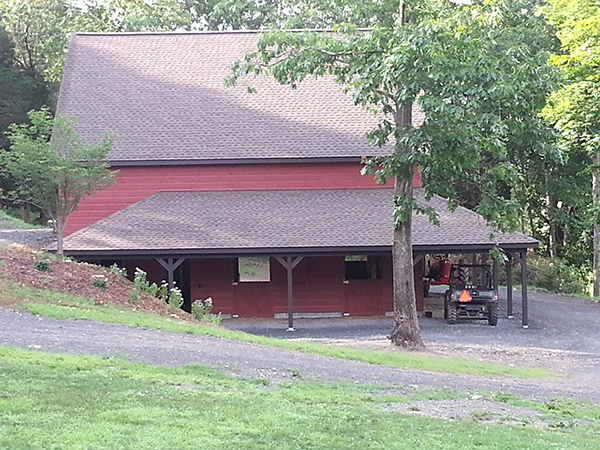 Peak worked together with the client to design a horse barn in Lamontville, NY. 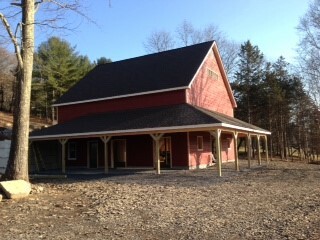 The lower level of the barn features four stalls, a tack room, central corridor with frost-free spigot and floor drains, and wrap-around porch roof. The upper level of the barn can be accessed directly from the driveway above and provides approximately 1300 square feet of hay storage. The reinforced concrete rear wall of the barn was designed to retain the bank behind the barn which carries the driveway into the property.